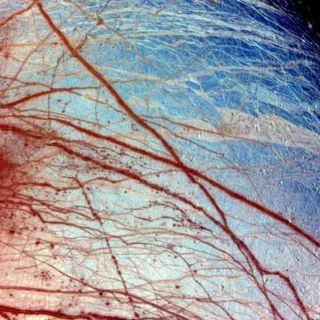 Future spacesnapshots could reveal the existence of lakes or oceans on Jupiter's moonEuropa, suggesting the possibility of alien life, and astronomers have nowbuilt an imaging detector better up to the task. Until now,the imagingdetectors available to take pictures in space have been vulnerable to thenoise and degradation caused by cosmic rays and other radioactive particles.Environments such as the one surrounding Europa are particularlyradiation-heavy, making observations difficult. ?Radiationtolerant detectors are a critical need for NASA in the continuedexploration of the solar system,? said Melissa McGrath, chief scientist inthe Science and Mission Systems Office at NASA Marshall Space Flight Center. Thetechnology driving the new detector is a capturing system that immediatelyconverts electromagnetic signals into digital information, pixel by pixel. Themethod bypasses the standard pathway traveled by analog signals from sensors tothe point where the signal is converted to digital data. High-energyradioactive particles in space degrade these circuits, or pathways, over timeand add to noise in the data by making pixels appear artificially bright. The newdevice avoids such pitfalls, said project leader Donald Figer, director of theRochester Imaging Detector Laboratory at Rochester Institute of Technology. "Ourdetector converts the analog signal to a digital number within the pixel,"Figer told LiveScience. "Radiation does not have time to affect thesignal. And once the data is digitized it's essentially impossible to pick upnoise." Thedetector will also be less susceptible to charge traps that can build up ininstruments under exposure to radiation, further degrading the signal. "Theinstrument's benefit will be greatest where the radiation environment ishigh," said Figer. The Jovian moons are one such area. "Wecould ? figure out if there are lakes of water on Europa orhydrocarbons on Titan," Figer said, referring to the much-sought evidencethat life might exist beyond our planet.